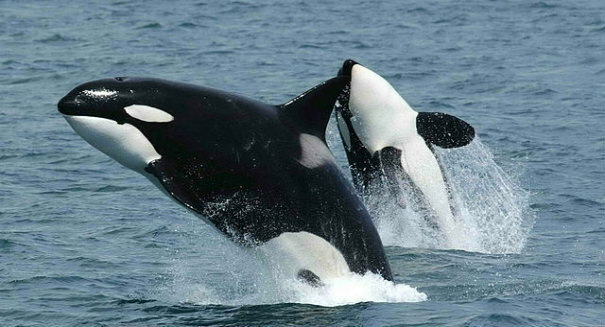 Do killer whales answer the mystery of the menopause? There are only three species who experience menopause – pilot whales, killer whales and humans. But it’s not always been clear why. Researchers may have come up with a solution by studying menopausal orcas and their relationship with their younger counterparts. The new study by scientists at the University of Exeter suggests the reason why killer whales go through ‘the change’ may be down to conflict with younger females. In other words, the more fertile and younger whales are more likely to reproduce which, in turn, causes the older females to turn their attention away from rearing young and more towards nurturing the younger members of their group. This is contradictory of many other species in the animal kingdom who still reproduce as they age. In evolutionary terms, older female killer whales, pilot whales and humans ‘step back’ to allow their daughters to start reproducing. The dynamics of orca pods suggests competition for food could have an influence as well as older females having increasing responsibilities and pressure as the pod increases meaning raising calves becomes harder. Their attention is then better focused on providing efficiently for the ‘children and grandchildren’. The emergence of the menopause therefore, may have come about due to being outcompeted by their daughters and granddaughters. The team plan to investigate further by using underwater drones to observe the whales’ behaviors more closely. Details of the study were published in the journal Current Biology.